The trembling was the result of realizing I had been asked to write about a real student of Florida history, Dr. Will Michaels. You have seen his knowledgeable, thoughtful, and well-researched stories in every issue of the Northeast Journal since the first one in September 2004, always ‘below the fold’ in its prominent location at the bottom of page one. It’s the first place I look when the Northeast Journal shows up on our doorstep every other month. The St. Petersburg Museum of History also happens to be high on my resource list when I have to stretch a bit and research some arcane historical notes about St. Petersburg. The archives housed there at the museum are amazing. You can find details about when your house was built, who built it, who owned the property originally – and in many cases you can discover details of who your ancestors were, if they happened to be from around here. You can find copies of city directories for scores of years, early maps, photographs, handwritten notes, newspaper clippings and much more, including photographs and video archives. So, it is a familiar place for me, but today, I was on a bit of unfamiliar territory – asking questions about one of St. Pete’s best students of Florida history. Susan Alderson, NEJ managing editor and photographer, was already hard at work with Will, getting photographs in the Benoist Pavilion which contains the museum’s signature exhibit – a full-sized replica of the Benoist Airboat. The airboat looks exactly like the one in which Tony Jannus piloted St. Petersburg Mayor Abram Pheil 21 miles across the bay to Tampa on January 1, 1914. That feat is recognized as the first scheduled passenger flight using a fixed-winged aircraft. It was the beginning of commercial airline flights. We continued our visit in the Archive Room, the place where so much of St. Petersburg’s history resides. Will Michaels is justifiably proud of all his accomplishments, although he is not the type of person to go into depth about his own considerable accomplishments. He would prefer to detail the history of others. He eagerly talks about the qualities of this city, which he has observed over the past 45 or so years. The most recent 25 of those have been as a professional historian. Susan and I wanted to know about his life before he came to St. Petersburg… where did he grow up… what were his favorite subjects in school? “History – I was always interested in stones and bones, and I took some history courses” at George Washington University in Washington, DC, where he earned his Bachelor’s Degree in 1964, and his Master’s in 1966. “Couldn’t really make a living in history unless you’re a senior professor at Harvard,” he added with a chuckle. He worked in Washington, DC, where he became the director of Capitol Head Start. Head Start is the national commitment to give every vulnerable child an opportunity to succeed. “We operated 14 Head Start centers throughout the city,” he noted. What brought him to St. Petersburg? 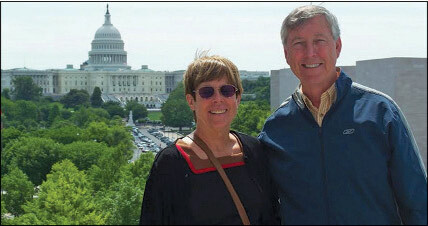 His wife, Kathy, had family who lived on Anna Maria Island, along those beautiful Gulf beaches of Manatee County. They would visit the area often, and both of them fell in love with St. Petersburg. On one of those visits, Will learned of an opening with the Juvenile Welfare Board in St. Petersburg. One thing led to another and that led the Michaels family here to embark on his second career. That was in 1973, back when the Juvenile Welfare Board was located in the old building on 1st Avenue South where the draft board had been located. In 1990 he received his Ph. D. in Applied Anthropology from USF. After working at JWB and other health and social organizations in the Tampa Bay area for nearly 30 years he decided to retire. Other interests were nudging him. In 2003, the St. Petersburg Museum of History was looking for an executive director. Career number three was begun. During his time leading the Museum of History, the building and its exhibits experienced considerable upgrades. Among his many accomplishments are beginning an archive of video recollections of early St. Petersburg residents and their descendants talking about topics such as grandparents coming to the city over 100 years ago in an oxcart, or the green benches along Central Avenue, or early baseball, or even to a street downtown that is just wide enough for pedestrian traffic where there are only thirteen homes. The video archives reveal a fascinating backstory and insight into the community, as told by people whose ancestors – and in many cases their own past – have shaped the community’s present. During that time, Will started his series of articles for the Northeast Journal. 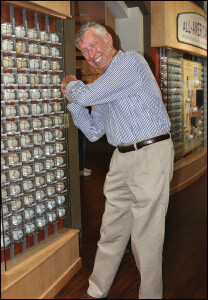 He also began easing out of responsibilities and retired from the Museum, but he keeps his interest and focus closely tied to Museum of History work. He continues as a educational advisor, in addition to enough community service work to fill the daily calender of most working people. He has served as president of the Council of Neighborhoods, president of St. Petersburg Preservation, and vice-president of Carter G. Woodson African-American Museum. He was the design chair for St. Petersburg Pier Advisory Task Force. He has been a member of St. Petersburg Together. 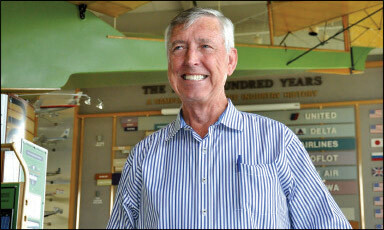 He is a recipient of the University of South Florida anthropology department’s Distinguished Alumnus Award. What advice would he give city leaders to keep the best of St. Petersburg intact while allowing the city to grow and change with the times? He maintains a high level of interest in what goes on in the community. 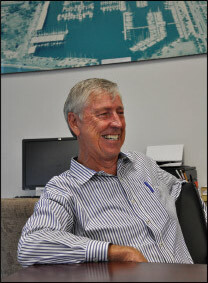 He can be quite outspoken about current activities, such as do we need a high-rise project to occupy some of the waterfront property near Albert Whitted Airport, or the current status of the design of the pier. Will takes to heart this message from one of our early city leaders: “The struggle for preservation of the environment will only succeed if the community guards and protects the region’s natural wonders.” –William L. Straub, 1913. His many activities seem more than enough to keep most people occupied. So what does Will do in his spare time? How does he like to relax? 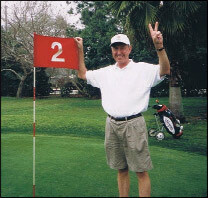 “Gardening… fishing… kayaking… golfing [he’s proud of two holes-in-one some years ago at Twin Brooks Golf Course]… traveling.” Where? “Pennsylvania… Washington, DC,” where he still has lots of friends. 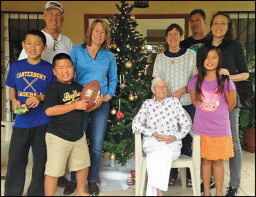 Wife Kathy and he are proud of their three grown children and four grandchildren. He is also proud to be a resident of St. Petersburg for over 40 years, and proud of a book written a few years ago, The Making of St. Petersburg, in which he chronicles the area’s varied history – from indigenous cultures here when the Spanish first set foot on shore, to our magnificent waterfront parks and grand hotels – all the while including that good old American pastime, Major League Baseball. It’s a compilation of many of his past Northeast Journal articles. You can find it at local bookstores or online. We look for many more of his interesting and compelling articles about our community’s heritage and history. And speaking of the St. Petersburg Museum of History, as we have been doing here, there are two special exhibits opening this month. Crate Expectations is an exhibit of Florida citrus labels which offers viewers a broad cross-section of one of Florida’s most colorful forms of advertising from the late 1800s into the 1960s. The other special exhibit is The Florida Wildlife Corridor Expedition by noted Florida wildlife photographer, Carlton Ward. You can immerse yourself in the natural environment of Florida from the northern wilderness to the Everglades, without the mosquitoes and humidity, as you take a tour through forests, down rivers and into swamps, all in the comfort of air conditioning.